Namaste! It has been a long and enriching experience in the Tourism Industry of Nepal. I had an opportunity to work with a Reputed Travel Agency and Hotel for almost a decade. I had the privilege to be one of the Active Managing Partners. I place on record the experience I gained and the enumerable wonderful friends around the world i now have. I extend my gratitude to the wonderful peoples/clients/guests & family who propelled me to stand out in tourism operation and hotel management and the continuing support for enabling me to independently manage a company of my own. With confidence, determination and hard work committed to the business, I decided to start my own company. Our office has been established. We are known as 'Eco Trip Nepal'. We have to make ourselves known, therefore, I felt obliged to reintroduce ourselves to my valued friends, guests and clients as an independent company. 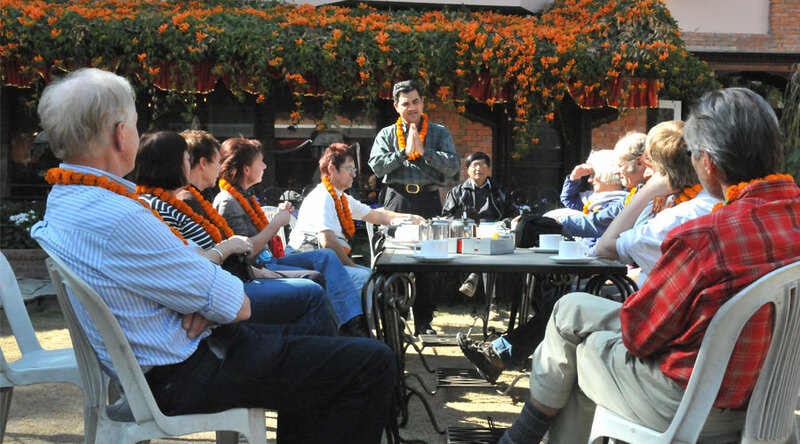 We heartily welcome our esteemed guests to experience our Himalayan country Nepal. We can also arrange packaged tours to neighboring destination in the eastern/western and Himalayas to discover the uniqueness and the excitement in terms of culture, environment and incredibly beautiful lofty snow clad mountains and valleys and many more. We believe in service with a personal touch. We will assure our guests full value for their hard earned money. Our packages focus on Culture, Festivals, Trekking, Flora and Fauna. Besides the undiluted culture and century old festivals played out in their originality, Nepal is also rated as one of the 'top ten global hotspots' in the world. This makes it a heaven for nature lovers to imbibe and explore endangered species of flora and fauna. We are specialized on independent, small groups and family trip. We also focus on bird watching and botanical tours and other natural history tours to Tibet, Bhutan and India. Since we are responsible organization, our main aim is to operate Eco Friendly Tour in the Country making local people aware and encourage to actively participating in environment preservation and sustainable tourism. My new Team and I look forward to seeing you once again and giving you that unforgettable experience. Eco Trip Nepal Treks and Expedition Pvt. Ltd, is a Tourism company headed by a veteran and dynamic tour operator. The young dynamic Team that gives life to this company believes in nothing but the best for visitors. We will ensure that your holiday with us is exceptional.We will assure you that you take back only the fondest memories back home. Our passion and committed drive through our professionalism to maintain the highest quality in our provision of the best hospitality in Nepal will set new standards in quality travel arrangements.